Heceta Lighthouse B&B’s Exclusive Spring Wedding Showcase! 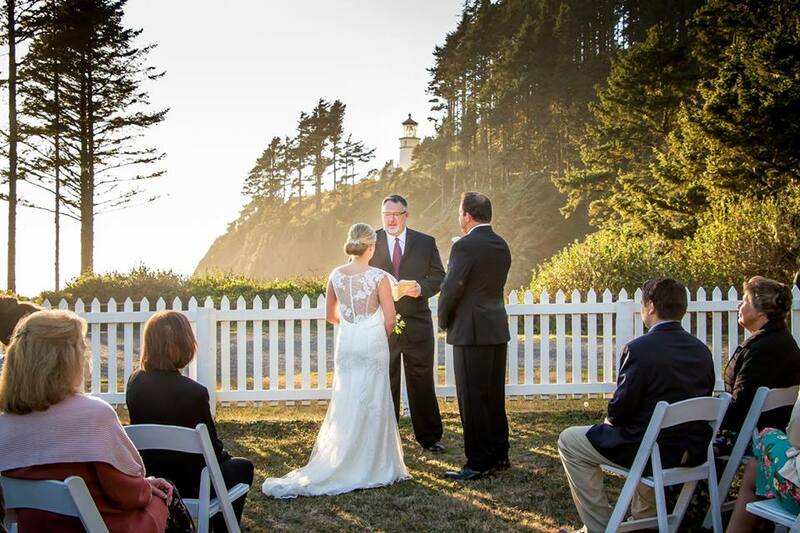 Heceta Lighthouse B&B is reserving the Lightkeeper’s Home for an Exclusive Wedding Showcase. Meet the Wedding Vendors who provide beautiful services for the Lightstation weddings and sample appetizers provided by the B&B culinary team. Discuss customizable wedding package options with our professional team. See the elegantly appointed rooms and explore the breathtaking grounds. Only 15 couples per evening are invited. If you would like to be one of them, please email misty@hecetalighthouse.com. Book a room for the night to enhance the experience. Watch the sunset slide into the ocean next to the spinning beam of the lighthouse tower and cozy up next to the fire places in the parlors while imagining what your dream wedding will look like at Heceta Head Lightstation. The 7 Course Breakfast will be served in the morning. This is a first come, first served opportunity and can only be booked by 6 couples attending the Wedding Open House. This is a small intimate affair for engaged couples seriously searching for wedding services. Reservations are required. Thank you for visiting the Florence Area Chamber of Commerce website. We are located on the on the beautiful Oregon Coast. Sign your business up to become a Florence Chamber Member Click here for information. It’s Time to Paint the Town Rhody! © 2019 Florence Area Chamber of Commerce. All rights reserved.